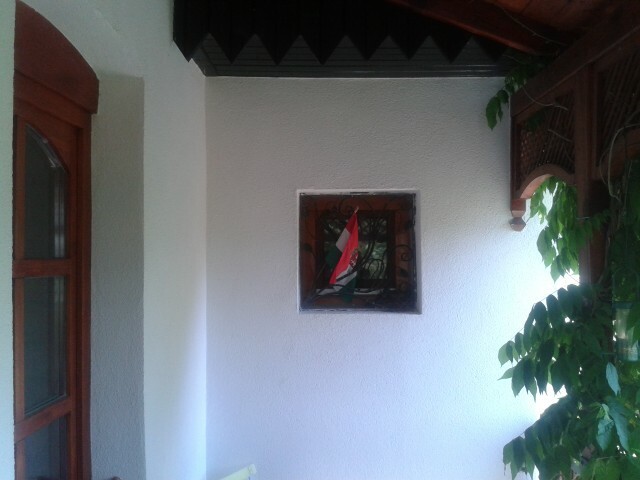 Two weeks ago I noticed something a bit different on our front porch. A bird’s nest. 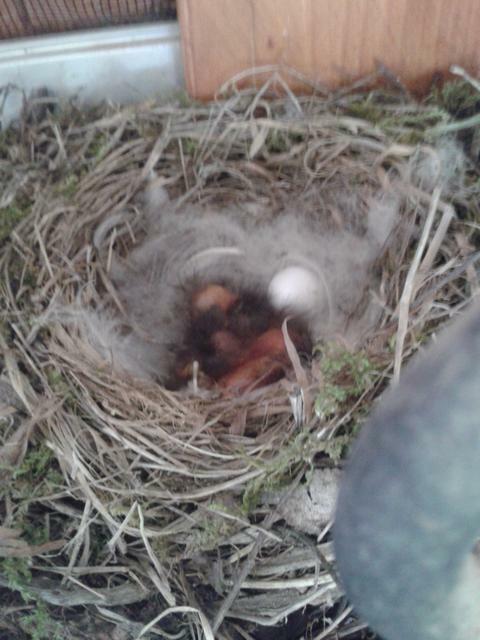 And today they hatched. See photos below and their captions for more. 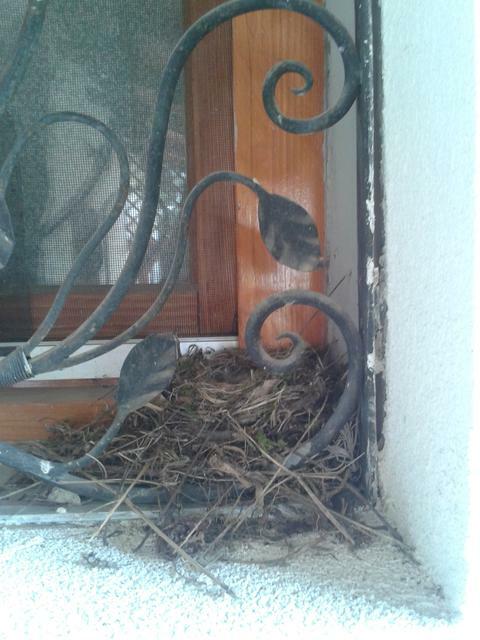 Small window on our front porch with a bird nest. Can you see it? 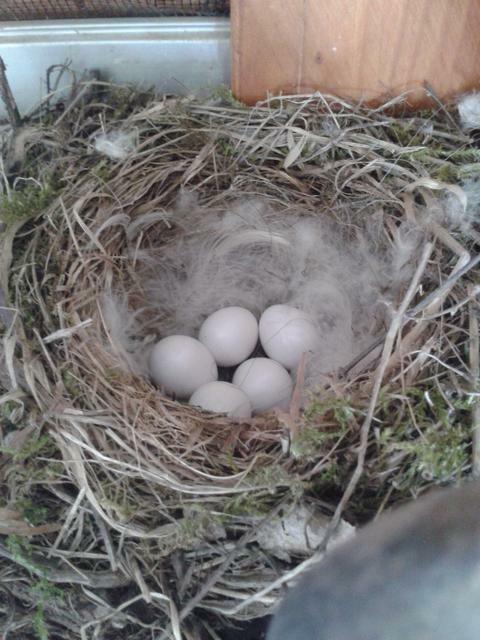 A flycatcher has built a nest in our window. Today some of the eggs had be “replaced” by little bundles of feather fluff.